Passover, which began yesterday, is a very cool holiday. Growing up, I loved to read the story of Moses and the Jews in Egypt. I’m not sure why Christians don’t celebrate Passover, too; it is in their Bible, after all. 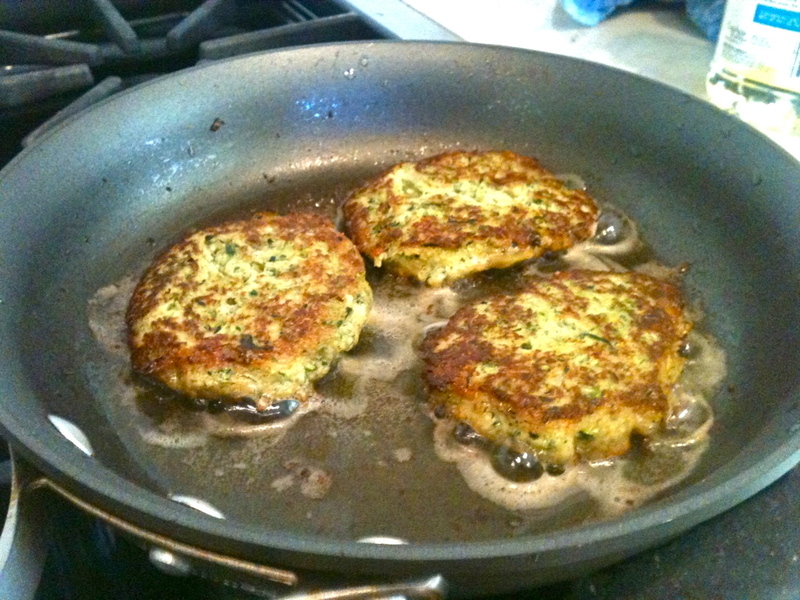 Anyway, potato latkes are traditionally served during Hanukkah, not Passover…so these zucchini latkes are pretty much as non-traditional as it gets! 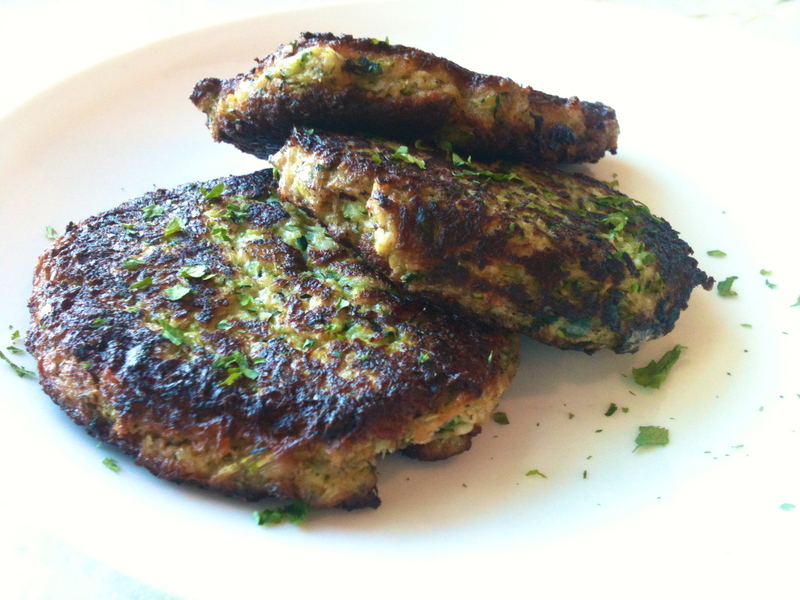 That doesn’t really matter–it’s always the right time for frying. 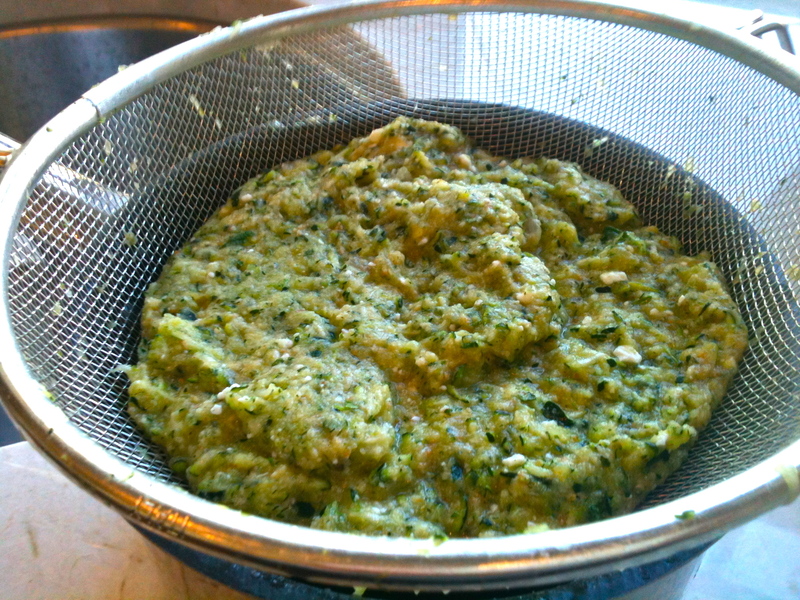 Grate zucchini, carrot, and shallot into a strainer or colander. Toss with salt and let sit for 20 minutes, to drain off water. Then rinse the mixture, press out excess water, and pat dry with paper towel until no longer wet, but only damp. 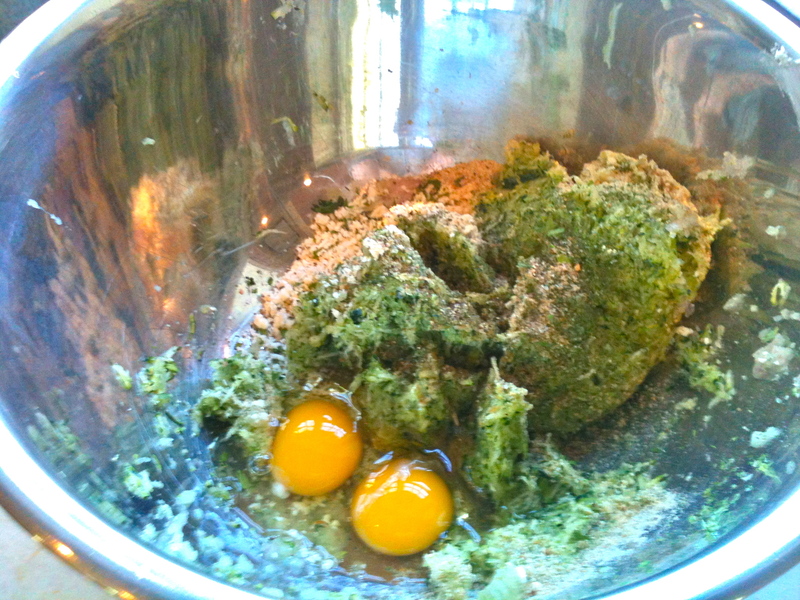 In a mixing bowl, combine all ingredients. Place mixture back in strainer and let sit for 10 minutes. Heat vegetable oil in a pan. 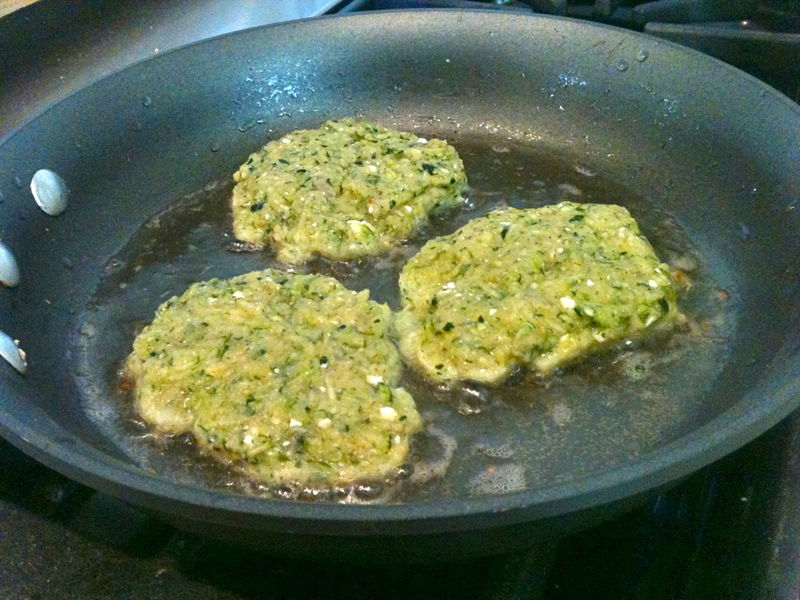 Form mixture into patties and place in the pan. Fry until brown and crispy on the bottom, and then flip. When both sides are browned and the middle is cooked through, remove from pan and cool slightly on a paper towel, to wick away excess oil. Serve as is, or with a scoop of sour cream. Yum.